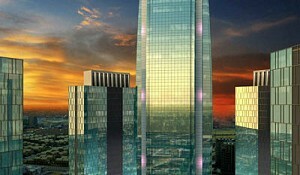 Marcopolis.net presents a list of the largest companies in the Kurdistan Region of Iraq. The emphasis is on local, mostly private sector companies. Most of the largest companies in Kurdistan are large diversified conglomerates with a mix of foreign and local capital. Among the top 10 list are 2 telecom operators, 1 bank and 7 diversified conglomerates. Most of the labor force is employed in the public sector (more than 50%), thus the private sector in Kurdistan represents less than 50% of the economy. Due to lack of reliable data and statistics the main limitation of the list is that it does not provide the exact ranking from largest to smallest, rather it should be regarded as a general overview of the main players from different sectors of the economy in the Kurdistan Region of Iraq. Over the last few years the unrelenting efforts of AsiaCell team have taken this wonderful company to heights that very few had imagined possible, When AsiaCell first started, it was known only as the first telecommunications venture in Iraq. Today, it is not only the first, but is also the largest and the most successful. AsiaCell is proud to be able to say that they are the only Iraqi company that is able to provide coverage to Iraqi in its entirety, catering to an impressive client base of over 9 million. Korek Telecom is the fastest growing mobile operator in Iraq. Korek Telecom is a shared limited company registered in Iraq to operate and provide GSM services. Korek started operating in Iraq in 2000, notably in the north of Iraq and it is the oldest Iraqi Telecom company. On August 17, 2007 Korek was awarded a nationwide mobile license and thus is now covering a total population of more than 32 million inhabitants. KAR Group is a full spectrum oil & gas sector services company working throughout Iraq providing expertise in project design, engineering and construction, plant design and installation, pipeline design, healt, safety and security services. One of the largest holdings in Iraq's Kurdistan. The holding invests in the following sectors: banking sector, investment sector, hotels, construction sector, oil and gas sector, manufacturing plants (BRC, Prefab, Steel, Cement) and oil and gas stations. Construction Companies under Nokan Group: Raz Company, Dargazen Company, Twzhala Company, Razga Company, Qubad Company, Shkofa Company, Reko Company, Chiya Company, Eron Company, Halabja Company. Fuel Trade Companies (Distribution) under Nokan Group: BezhanPet Company, Kormor Company, Wza Company, Mahd Company, Zawi Petroluem Company, Bawan Company. Security Companies under Nokan Group: Dahol Company. Car Trade Companies under Nokan Group: Carzone Company. Other Companies under Nokan Group: Homa Company, Current Company, Kurdistan Company, Saykes Company, Danas Company, Nzar Company, Hezng Company, Duty Free Company, Gazco Company, Azmar Air. Nokan Group has interests in North Bank, Nozad Jaff (North Bank), Karook Group, Roj City City Star, Kawan, Barez, Nalia, Chavi Gashtiary, Rawanduz, Group Hoshier Company, Meer Soma, Wali Ragi Company, Saeeb City. The Zagros Group is now made up of 12 different companies under the Zagros umbrella. These segments have developed a lot since the company began operating. Zagros Group today represents one of the three biggest companies in Kurdistan, with nearly 1,000 employees. The company is divided into following subsidiaries: Zagros General Contracting, Zagros Energy Group, Zagros Technology, Medical Care International, Zagros AMBS consultancy, Zagros Air, Laveen Air, Zagros Oil, Zagros General Trading. 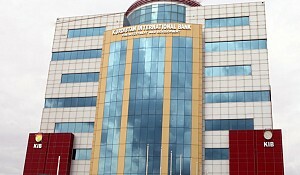 Kurdistan International Bank (KIB) is the first bank in the Kurdistan Region and one of the biggest private banks in Iraq. Kurdistan International Bank was established by a group of prominent Iraqi businessmen including some of well-known bankers and financers with the participation of five major Iraqi private banks. Assets: USD 522 million (2011). 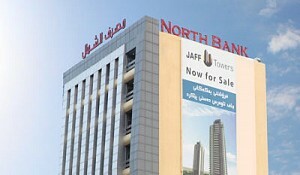 The largest private bank in Iraq and Iraqi Kurdistan. Since its establishment in 2007, Empire World has become a leader in the real estate sector in Erbil, in the Kurdistan region of Iraq due to its total dedication to excellence without compromise. Empire World has undertaken a Project that spans a land area of 750,000m2 and costs over USD 2.4 billion. With a completion date of 2017, Empire World is honored and proud to continue contributing to the grown of and development of the region. 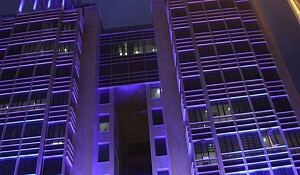 Ster Group was founded in Erbil and it has emerged as one of Iraq's fastest growing conglomerates. The group's core expertise includes construction, environmental engineering, consultancy, insurance, security, power, communication, general trading, tourism, information technology and research. 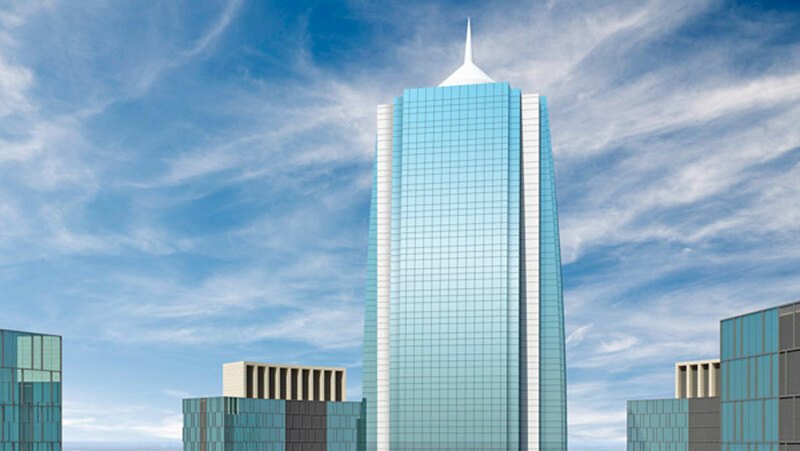 Ster Group also actively invests in a wide-range of real estate projects. The group's subsidiaries include: Ster Company, StarKar Insurance Company, TarinNet, Ster Petroleum, Ster Security, Kani Water and SterLogic. Falcon Group is a wholly owned and operated Iraqi Corporation. The group is multi-disciplined and includes: Falcon Security, Falcon Construction, Falcon Oil and Gas and Falcon Agriculture. As a professional multifaceted organization, Falcon Group is specifically focused on the reconstruction of Iraq and the maintenance of its critical infrastructure. A diversified conglomerate based in Sulaymaniyah with activities in construction (Qaiwan Towers, Qaiwan City, Sulaymaniyah Heights), energy (Baziyan Refinery, Petrol Stations, Oil Trading), retail and hospitality (Rotana Hotel Sulaymaniyah, Qaiwan Hotel). The holding's turnover was $1.2 billion in 2009 and it increased in 2010 to approximately $1.5 billion. UB Holding is involved in the upstream, midstream and downstream sectors. The holding currently represents one of the leading private sector companies in Iraq. Allai Newroz Telecom is a private company which was founded in 2007 in Erbil city; the heart of the Kurdistan Region. Newroz Telecom became one of the first companies in Kurdistan region to provide various telecom services, voice and data. The continuous ambition and the wide vision of Allai Newroz Telecom has led Allai Newroz Telecom to acquire an enormous share from Ariafon Company, which was then a CDMA operator in Kurdistan area of Iraq with around 100,000 subscribers. Moreover, in 2011, Allai Newroz Telecom has succeeded to acquire a large share share from Neide Telecom, a telecom company specialized in whole sale and fiber optics networks. Turning its 6th year, Allai Newroz Telecom succeeded in proving itself in creating a solid competitive brand in the telecoms industry in Kurdistan area, and today Allai Newroz Telecom owns business and technical staff of around 450 employees, which makes it the largest company of its kind in Kurdistan. Mass Group Holding Ltd (MGH) produces electrical energy, cement, steel, and fertilizers, along with other basic industrial products and services. The focus of Mass Group is predominantly on: Electricity generation: the current production capacity of their three build, operate, and own (BOO) power stations is 2,500 MW. The group wants to reach 3,500 MW through converting to combined cycle by the year 2014. 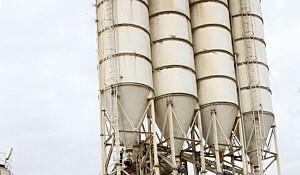 Cement: the current annual production capacity is around 7.5 million tons, reaching 11.5 million tons by 2014. Steel and Iron: the current annual production capacity is 1.25 million tons and it is expected to be doubled soon. Urea: MGH has started constructing a urea project with an annual capacity of 1.38 million tons, one of the biggest of its kind in the industry. Zozik group is present in the following sectors: agriculture, air & cargo, communication, construction, finance, health care, security & logistics, and transportation. Darin Group is an Iraqi holding group founded in 1998 and launched to support the three main industries, namely construction, internal project management and general trading. 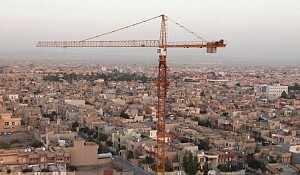 The group has been involved in major construction trading activities throughout Iraq for many years. Also, Darin Group has very diversified specialized business activities and it is serving the whole of Iraq. In a region where industrial development is crucial to economic prosperity, Darin Group has earned the confidence and respect of governmental departments and multinational organizations by achieving exceptional high standards of service. The group's factories include Erbil Steel Factory, Ice King Factory, Flour Factories, Darin Asphalt, Darin M2 Factory, Darin Block Factory, Darin Concrete, Batching, or Hollowcore Slabs Production Factory.